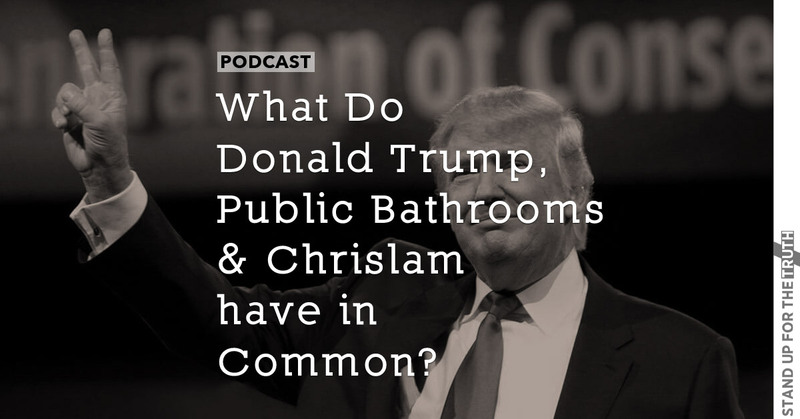 What Do Donald Trump, Public Bathrooms and Chrislam have in Common? Before you answer that question, stop and take a few minutes to reflect on what America looked like 30 years ago compared to now. This morning we discuss the growing controversy at Wheaton College where a tenured professor is under scrutiny–and receiving a lot of support–for claiming that Muslims and Christians worship the same God. We will also look at the latest ruling from a Court on public restroom access for transgenders, and discuss the phenomenon known as Donald Trump. Why does a Presidential candidate who goes out of his way to hurl vicious personal attacks against his rivals continue to gain support from the American people? Don Veinot of Midwest Christian Outreach joins us for an interesting discussion on the direction of America and the church in our nation. PreviousDoes Big Brother Already Have Us By the Throat?